We’d like to introduce you to the middle child of the Baker family, Matt Baker! Matt’s been doing an amazing job for Galaxy Draperies lately and we had to highlight him for all of his recent successes. He’s 29 years young and taking the window covering industry by storm with his unique and functional approach to designing custom window treatments in LA. Recently, Matt has been recruited as the new Sales Manager by Rick Baker. 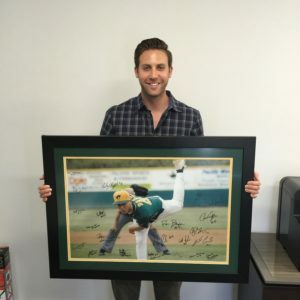 After working in window covering installation as a teenager and pursuing the great American dream as a professional baseball player, Matt is well trained for this next challenge. Matt always focused on playing baseball, though he did help install window coverings starting at age 15 and throughout high school. After senior year, Matt played for Pierce Junior College and spent a year in Austin, Texas before being signed to a professional affiliated Baseball team. Years of hard work and chasing the dream were paying off, until Matt suffered a shoulder injury. This unfortunate injury slowed down his opportunity and ultimately led to being recruited by the family business at Galaxy Draperies. Since he could walk, you couldn’t get him away from window treatments. 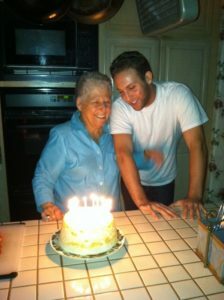 Matt always wanted to visit his grandma Muriel, founder of Galaxy Draperies, at the showroom. Always running around the showroom picking up drapery pins, which was a major help for the seamstresses to clean up. Can you imagine how many sewing needles lie around the showroom? Matt made sure every single one was picked up and constantly checked that the seamstresses had all that they needed. At 3 years old, he was some of the biggest help and growing quickly. Between 8 to 10 years old, Matt would constantly accompany his dad on designer calls because of his strong interest in his father’s business. He grew up surrounded by a home full of custom window treatments. He was constantly influenced by the creativity, which lead him to always rearranging his room. By the time he was 16 years old, Matt was the tallest of the Baker family and one of the best installers in the company. Standing at 6’4”, it was easy to see why he still holds the record for fastest installation time. After pridefully hanging up the cleats and being a natural at window covering design since birth, Matt decided to join the family business at Galaxy Draperies’ as the Sales Manager in 2012. Matt Baker brings a unique approach to designing window treatments that other designers don’t consider. Being a previous installer, he knows how to select and design window coverings to frame the window perfectly. It is a function first style that ensures you will be happy with the fit of the covering before choosing patterns. 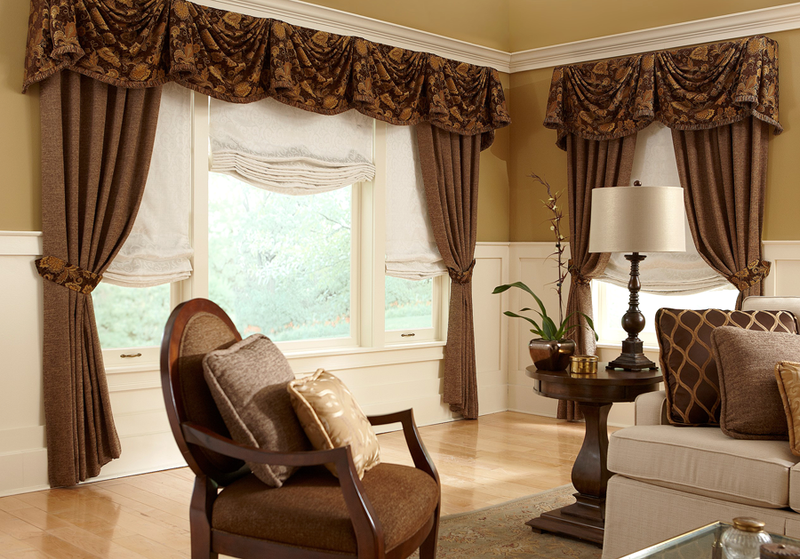 If the covering doesn’t fit the window size or seems forced, than the elegant style of your custom curtains no longer matters. Matt’s style of design is to understand how to combine functionality with design aesthetics. Some of his best projects are custom designed window treatments that look gorgeous both opened and closed because he worked the functionality into the design and understands how they will look after installation. Having been the final person handling the window treatment install, he knows about problems that may occur before they even happen. If your design won’t work because of how it would be installed, having been there, Matt already has a way to fix it and another option for you to choose from. It is this type of installation foresight that is missed by many designers in the industry. Matt’s number one goal has always been to make sure everything looks great, functions perfectly, and fits well within your price range. He asks the right questions before any designs have been made or products have been chosen. This way he can guide you down the right path of what custom window treatments express your style, function great after install, and won’t break your bank. If you are set on a design, but it won’t fit in your investment range, Matt will shoot it to you straight. He’ll give you a 0% financing option or offer you a few payment plans to make sure you get what you want. His refusal to sacrifice quality and dedication to create a memorable experience that will last, is why he’s one of the best in the business. 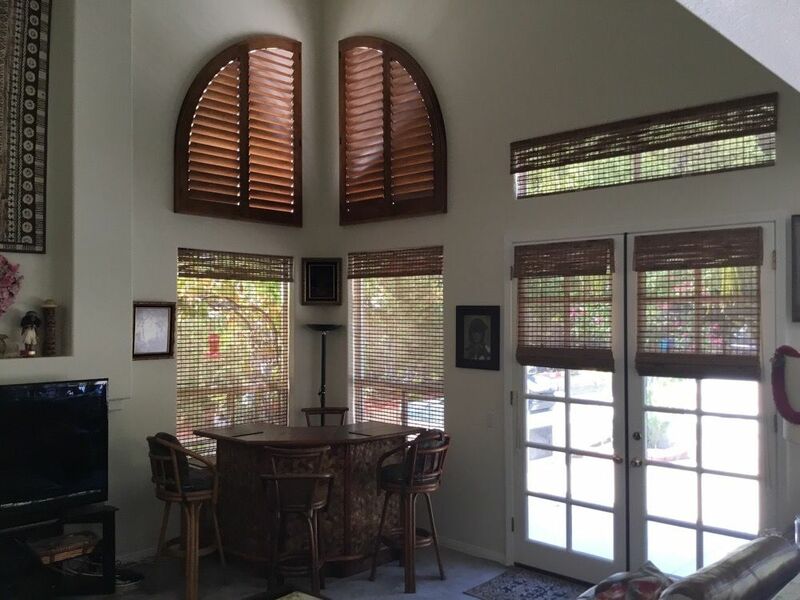 We are proud to have Matt representing the family business and carrying on our tradition for high quality blinds and shades in LA as well as the more intricate custom valance designs. 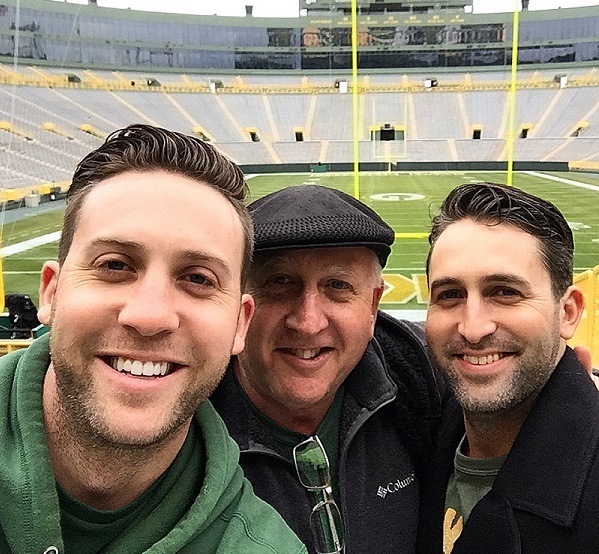 When he’s not working on window treatments, Matt’s spending time with his family. Weekly sushi dates are an on-going family tradition. Living in Los Angeles and being a huge baseball fan, Matt enjoys going to the stadium and rooting on the Dodgers. He also enjoys cheering on Aaron Rodgers and the Green Bay Packers. Having your brother, mom, and father constantly working together means you’ll all need to get away from the stress and enjoy each other’s company. Aside from family and sports, Matt considers himself quite the foodie and what better place to live than in Los Angeles. He’s constantly cruising through the city looking for the next hot spot with deliciously tasty food. Do you have a lead on the next top restaurant? I’m sure he will want to hear your suggestion. Matt says his favorite part of working at Galaxy Draperies is getting to carry on a legacy started by a woman who meant the world to him, his grandmother. He also enjoys meeting new people in Los Angeles and getting the opportunity to work together while create something extra special for their home. Though 14 years in the industry, it’s safe to say we’ve got quite a few years to watch this amazingly talented design and installation specialist grow into one of the greatest of all time. Matt is also an awnings installation specialist in Los Angeles. Browse photos, find inspiration, and view our expert designer's style in the new project gallery. Is the motor included or do I have to purchase it separately? Can an awning help keep the inside of my home cooler? How are awnings in the wind? I want to clean as little as possible. What are good low-maintenance options? What is the best way to clean my fabric blinds? What is the best way to clean wood and faux wood blinds?